Footprint is Mandurah's leading full colour printer supplying efficient in-house production from job conception to finished product. We offer a friendly fast and cost effective service utilising the latest technology such as computer to plate and the most advanced printing presses from world leaders, Heidelberg. The company also offers a full artwork and design service enabling us to fully satisfy your requirements and maintain full quality control over all stages of your job. Established in 1992 Footprint aimed to break into the Peel region's printing market by offering excellent customer service and satisfying clients with quality work at competitive rates. 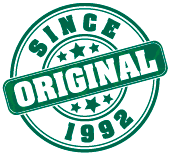 Over a decade later, Footprint is still owned and managed by Patrick Oldfield making it the longest established printing company in the region under the same ownership, proving long term continuing commitment to the industry, its employees and the region. Over the past decade, Footprint has grown to now employ seven staff members, all of whom have undergone specialised training in their field of work. From small runs of business stationery to long runs of brochures we can meet your needs. Why not ask our advice on the best and most cost effective way to proceed with your next print job. Work includes 4 colour, spot colour and black only lithographic printing. Short run digital printing in both black only and full colour. 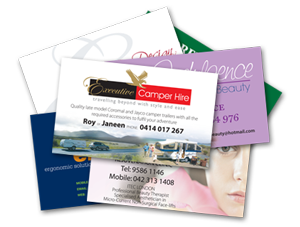 Stationery items including: Business cards, letterheads, compliment slips, carbonless books, paper stickers. Promotional items including: Leaflets, brochures, booklets, product manuals, menus, posters, tickets, raffle tickets. At Footprint we specialise in logo design. Because our prime concern is 'putting ink on paper' you will find our pricing for this creative service works out at a fraction of the cost you would pay at a design studio. In addition to our Green Stamp Certificate of Environmental Accreditation we have recently installed a 10 kilowatt solar system to provide the majority of our energy needs.